In that case, I think it would be a much better idea to not ask for password confirmation for all but the following BSAs: Bite, Earthquake and Expunge. Maybe even Teleport. Everything else is (mostly) harmless and can either be undone or will undo itself over time or has no ill effect. All of the BSAs also have password verification, which is why I got into the “double tap” habit, after mass incubating or influencing, so although yes I could train myself out of it, it’s not just the big terrible irreversible actions that require it, because both influence and incubate can be reversed by teleport. And yes, I totally get what you’re saying about handholding. But I don’t truly get how combining the two options we already have would be handholding? It’s not really “adding” a new feature that would make it harder to mess up. The feature is already in place. Except instead of just the action being required, you’d also have to provide a password. How would that be more hand-holdy? Again, I’m in favor of not doing a ton of hand holding, but since the feature already exists, I guess I don’t understand why combining them would cross the hand holding boundary. I don’t know if changing the way you look at it would change your mind, I’d rather it be seen as adding extra account security to the name function, as opposed to adding a “safety net” to the password function. I would totally switch to the action name verification if I weren’t so worried about security. And if the pop up is enough, then why do we have the action name at all? If my thoughts on that are on-track, then the popups aren’t “enough” for some. But it really freaks me out to not put in my password for these things. Why wouldn’t it be possible to combine it for people like myself, who’d like that autopilot-proofer, but don’t like being unprotected? I would understand if it’s a nightmare to code, but I know absolutely nothing about coding so I couldn’t tell you. I just think it would be a nice feature to have. Ok, so I searched with the search bar and also went through the first several pages of this subforum and I didn’t see anything, but I apologize if I’m duplicating something on accident. I, personally, would like the option to combine the two methods of action verification. I do not like the idea of not having my actions being password-protected, in the event of a malicious “friend” somehow having access because I’m always logged in on my phone, it makes me feel very squirmy to have my dragons able to released or abandoned without the security of my password. BUT, from what I can at least tell, the “action name” verification option is helpful in preventing you from doing something you didn’t want to do. For instance, there have been several times when I’ve just unthinkingly typed in my password, only to realize that I was about to abandon my egg, rather than any other action. I’ve always caught it, but in the event that I didn’t, I just think it would be nice to also have to provide the action name to prevent my true dumb nature from prevailing in an ultimately regrettable way. I don’t really understand why at this particular juncture you have to choose one or the other, so why not an option for both? Type in the action name so that you’re sure you know what you’re doing to your egg, and then type in your password for that extra security boost. Has anyone looked at the event today? The Sakuhara got one of those lovely avatars here at the beginning, instead of Tsoko as an introduction, and it’s absolutely gorgeous! 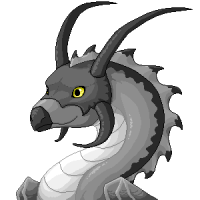 The goal is simple--to interact with others in the dragon cave community and discuss the new dragon, to see what others think. Isn't that the goal of any discussion thread? The forums are here to foster a community--community members interact with each other, they talk to each other, they exchange opinions. At the end of the day multiple in cave spriters have mentioned that they don’t like what’s going on as far as “critiques.” So have your opinions on the dragons. Have your opinions on the spriters not wanting you to share those criticisms. No one’s telling anyone that they’re not allowed to have their personal thoughts. But the fact that people are clinging to their original statements despite being told it’s unwanted and/or unappreciated, and defending their claim by telling the artists that they shouldn’t be offended doesn’t even border on distasteful, it just is. You have been told that what you’re saying isn’t helpful, so why do you continue to say it? Here's the uncut version of our boy Alun! You have Process' and my permission to use them in sigs/profiles/avatars/etc in this forum if you want. @Lagie He’s in the Tsoko storyline, I think! I’ve been enjoying the event, but I really wish you could optionally start at the select club thing, it’s kind of tedious going through the intros so many times. But it’s been fun! i liked in past years that the story kind of unfolded, and there was more to do each day, instead of doing it all at once. I’ve basically done all the stories I really want to and now there’s a lot of days left in the event and not much for me left to do. I did enjoy it, though. ... but I was wondering who was that blue dragon that appeared during Tsoko's rout? Oh these are such cute events! And I absolutely LOVE the details on Headmistress Matilda, massive shoutouts to everyone who worked on putting this event together, I’m really enjoying the spritzing and writing. so far I’ve played through Alun (my favorite <3), Tsuko, and Mordred, and I think next I’ll go through Ion’s Story. Then I have every intent of ending the game on Alun’s path, so I’m going to redo it, if not just for the awesome ending! but are we playing as a person or a dragon? I can’t quite figure it out. Anyone want a 3G prizekin? 4g shimmer prizefail from Jewel Take me home! 3g tinsel prizefail Take me home!